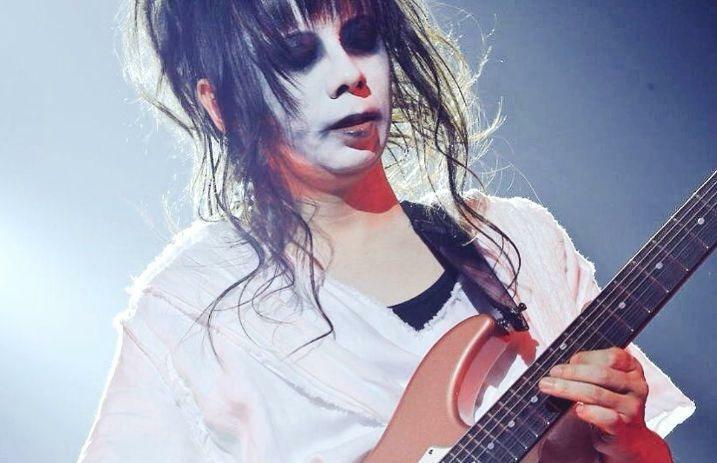 The “Little” Guitar Kami of #BABYMETAL ‘s #Kamiband has passed away in the METAL GALAXIES. We hope that he is now with his GUITAR MASTER A.Holdsworth and enjoying an epic guitar session with him. The past few days have been extremely hard after hearing of the passing of my friend and colleague, Mikio Fujioka. I have no idea why some of us are taken so early and in such a brutal way. I was lucky to work with Mikio side by side for over two years, and I couldn’t be more grateful for that. He was the kindest, most beautiful soul….always laughing, always smiling. We said so much to each other without using many words. He couldn’t speak much English, and I couldn’t speak much Japanese, yet we made each other laugh for hours. He would show me videos of his two beautiful little girls and his wife, who he “talked” non-stop about. He was simply an amazing family man, musician, and human being. Rest in peace, dear Mikio. I can’t believe you were taken away from us. I hope you keep making those around you laugh, wherever you are. ✖落✖PS- I can’t remember which member of #babymetal family took this photo, but THANK YOU FOR THIS! @mikio158cm so proud of you! My daughter who is moved and cries. Rest in peace Mikio Fujioka, you were a phenomenal guitarist. We shall never forget. Farewell. Tragic news of the loss of Mikio Fujioka. You may know him from his work with BabyMetal, but he had also been widely respected as a truly gifted and innovative guitarist long before that. He was a gentle and friendly person and will be sorely missed by many. Very sad to hear about the passing of the effortlessly talented Mikio Fujioka. Our thoughts are with his family, friends, and all those he touched inside and outside the BABYMETAL community. Sad to hear so many bad news already in the first month of 2018. BABYMETAL’s Kami Band Member Mikio Fujioka Has Died Aged 36 — Kerrang! The guitarist fell off an observation tower while star watching and died five days later. Babymetal broke the news of Mikio’s death via Facebook earlier today. BABYMETAL have paid tribute to their guitarist Mikio Fujioka, who has died aged 36. His death was confirmed by his bandmates in the pop-metal group. Mikio Fujioka, guitarist for Japanese pop-metal band Babymetal, has died at the age of 36.